The right kind of early education can make all the difference in a student’s life. When a student and their family choose an education from Hillsdale Preparatory School, they are making an investment in their development. But this development is not only academic, but personal as well. There are many outstanding benefits to attending a charter school, such as Hillsdale Prep, that go beyond the classroom and touch elements of students’ lives that stay with them forever. Charter schools extend the privilege of choice to students and families who are pursuing an ideal educational experience. Free to all students who are eligible for public schools, charter schools are held to the rigorous educational standards of not only the State Board of Education, but of their Board of Directors, and the academy’s official Authorizer. Along with the high standard of education, children also benefit from smaller class sizes, innovative, personalized approaches to teaching and learning, and the enthusiasm and genuine love of curriculum that the charter school staff members possess. We expect much of our students – both academically and socially – and reward them with an education that will serve them into adulthood. At Hillsdale Preparatory School, our K-8 education focuses on tradition, learning, and discipline. Every morning begins with the flag ceremony, the pledge of allegiance, and poetry recitation from memory. Students arrive on time with their daily homework completed, and treat others with a respectful attitude to demonstrate their strong character. We find that by instilling these traits early, students, their families, and the friendships they develop benefit greatly overall. Along with character and academics, we enjoy rewarding our students with various entertaining activities throughout the year. At Hillsdale Preparatory School, we offer several field trips to theatre and opera productions, and musical presentations are given in yearly concerts. Just like parents, we believe every child is special! That is why we offer every student, and their families, a warm, welcoming environment where they can learn and feel part of a strong community. Making the right choices now, at the onset of a child’s education, can make all the difference for their future. We treat every student as an individual to give them the best advantages. HPS invites all parents to make a strong connection, with active communications, with every member of our faculty and staff. Please click here to download a copy of our student handbook. 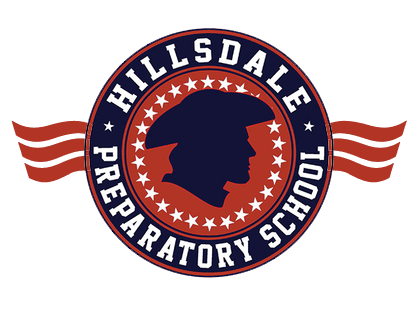 For more information about any of the benefits and advantages offered by the Hillsdale Preparatory School, please contact us at (517) 437-4625.